GMC sales year over year were up 41 percent in November. All major automakers in Canada have reported their November sales and a strong majority of them posted gains, including double-digit increases by General Motors, Ford, Nissan/Infiniti and Porsche. There were two extra selling days in November 2016 versus 2015 (26 versus 24). 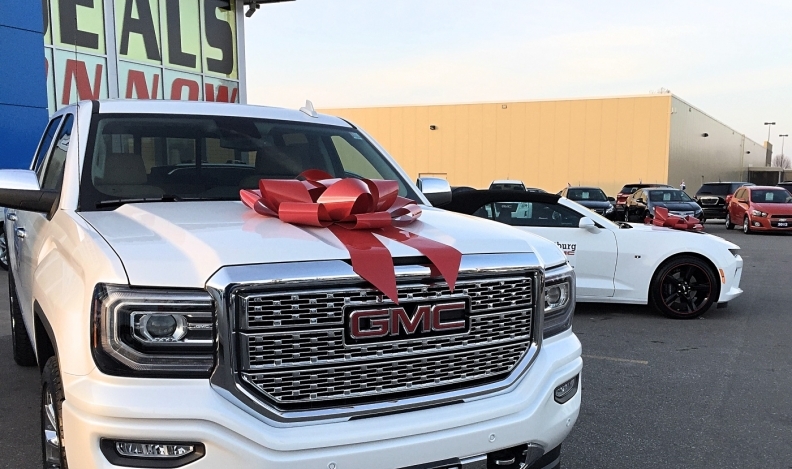 Analysts expect Canadian auto sales to set a new record in 2016, rising to 1.96 million vehicles, up from a record-breaking 1.9 million units last year. But after a strong first half this year, sales had declined in August, September and October on an annual basis. November sales of 3,403 units represented an increase of one per cent from the same month last year for BMW Canada.November marked the 11th consecutive month of year-over-year growth for the automaker. The company’s MINI brand reported 550 sales in November, a decrease of 24.9 per cent over November 2015. Total sales at Fiat Chrysler Automobiles were down three per cent in November. Ram was the company’s only brand to see an increase, up 11.7 per cent. Dodge fell 9.4 per cent while Jeep dropped 1.8. The Chrysler brand was down 38.2 per cent, due mainly to the fact the Chrysler Town and County program is winding down and its replacement, the Pacifica, wasn't available a year ago. Sales of the Chrysler 200 fell 54 per cent. The company’s Fiat brand was down 4.6 cent. Alfa Romeo sold one vehicle in November 2016 while it sold four the year before. Maserati sold 83 in November and 42 last year. November sales were up 18.2 per cent for Ford Canada, compared with the same month a year earlier. The company reported a 10-per-cent rise in Canadian auto sales for the first 11 months of 2016, on an annual basis. Its Ford brand increased sales by 18.5 per cent while Lincoln was up 9.6 per cent. GM Canada total sales increased 31 per cent in November compared to November 2015, the company reported Wednesday. The automaker delivered 28,523 vehicles, the best total November sales number since 2006. Buick total sales were up 54 per cent, led by a 93-per-cent increase in sales of Buick SUVs; GMC sales year over year were up 41 per cent in November, while Chevrolet was up 25 per cent. GM sales are up two per cent in Canada year to date. Total sales increase of 1.7 per cent for Honda Canada compared with November 2015. The Honda automobile division set a record, gaining 1.2 per cent on sales of 13,183 units. The automaker sold 914 units of the Honda Fit, up from the 525 it sold during the same month last year. Sales of the Civic were down 9.4 per cent. The Acura division reported sales of 1,832 units in the month, up 5.5 per cent over last November. While Hyundai was down 4.6 per cent, November to November, its Kia division posted an increase of 20.5 per cent. Combined, sales were up 3.1 per cent. Hyundai also sold 45 of its new luxury Genesis models, which went on sale Nov. 21 and are available only through appointment test drives. Genesis, which doesn’t have showrooms in Canada, sold 31 G80 sedans and 14 G90s. The automaker posted a November sales increase of 31.9 per cent, largely based on the strength of the Jaguar brand, which sold 343 units, up 272.8 per cent from November 2015. There were 770 Land Rover vehicles sold in November, up 2.4 per cent from November 2015. Sales increased by 9.2 per cent due mainly to a jump in the number of CX-5 and CX-9 tall-wagon models sold. Canadians bought a combined 2,437 units, up from the 1,765 they bought a year ago. The automaker reported a 17.9-per-cent increase in November sales compared to the same month a year ago, 3,954 units to 3,503. The company’s Smart division sold 247 units in November, more than four times the 50 sold a year ago. Sales increased 12.9 per cent over the same month in 2015. The Rogue compact tall wagon set a new November sales record with 3,675 units sold, an increase of 45.7 per cent. Nissan’s luxury Infiniti brand posted a sales increase of 15.8 per cent, with a November-record 1,130 units sold. November sales for Subaru rose 18 per cent, with 4,412 units sold, up from 3,739 a year ago. The automaker’s volume leader, the Forester, saw November sales increase by 24.2 percent with 1,362 units sold, while Outback sales rose by 28.8 percent with 1,145 units sold. It’s estimated Tesla sold 180 units in November, up from the 150 it sold during the same month last year, marking a 20-per-cent increase. The company posted a 4.2-per-cent total sales increase over November 2015 on the strength of Corolla sedans and Tundra trucks. Toyota sold 526 more Corollas and 298 more Tundras than it did last November. Overall, Toyota’s car sales were up 10.1 per cent while total truck sales remained essentially flat, up 0.8 per cent The company’s Lexus brand posted a sales increase of 3.4 per cent. Five brands fall under the group — Volkswagen, Audi, Lamborghini, Bentley and Porsche — which reported a 5.3-per-cent increase in total sales in November. Volkswagen was essentially flat with a 0.5-per-cent decrease. It sold 4,553 units versus 4,575 during the same month in 2015. Audi increased sales by 13.2 per cent, selling 2,455 units, up from the 2,168 last year. Bentley sold 41 units versus 12 a year ago while Lamborghini sold 15 this November and 14 last November. Porsche reported an increase of 20.2 per cent this November over last. Total November sales of 455 units marked a 9.6-per-cent increase for the automaker, which sold 415 units in November 2015. Numbers in this report are calculated by Automotive News based on actual monthly sales reported by the manufacturers and may differ from numbers reported elsewhere. Reuters contributed to this report.